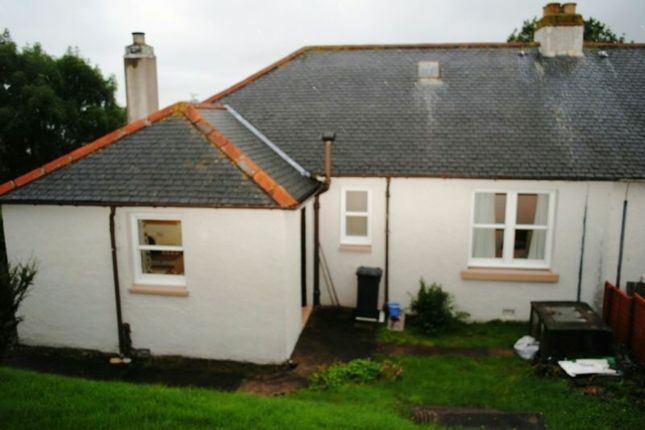 Re/max Property Experience is delighted to bring to the market a rare opportunity to purchase this 3 Bedroom Semi-detached situated in the centre of the attractive fishing village of Helmsdale. The accommodation comprises: Lounge, Kitchen, 3 Bedrooms and Bathroom. The property benefits from the provision of solid-fuel central heating and secondary double-glazing. The property also has a large but easily maintained enclosed rear garden and small front garden. This house would make a great first-time buy or holiday home. Helmsdale is situated at the mouth of the River Helmsdale which is famed worldwide for its superb fishing. Inhabitants of Helmsdale are entitled to fish the river for £35 per year. Originally built as a fishing port to provide work for the inhabitants of the local straths who suffered hardship after the Highland clearances it has developed into a cosmopolitan population centre offering facilities far beyond its size. Pubs and restaurants jostle with a variety of other shops to provide most of life's necessities in a convenient hub. It even has its own shoe shop which draws custom from larger conurbations both north and south. There is also a nine-hole golf course in the village with better known 18 hole course such as Royal Dornoch and Brora within easy travelling distance by car. Partially glazed door leads to main hallway, fitted carpet, wall radiator, pendant ceiling light and smoke alarm, 13 amp sockets. Access to all rooms. Fitted carpet, open fire with back boiler on tiled hearth and surround, wall radiator, pendant ceiling light, picture rail, TV connection, double and single 13amp socket. Double aspect with views to front and side. Fitted carpet, kitchen units & cupboards, free-standing electric cooker, stainless steel sink & drainer, washing machine, fridge, wall radiator, three double 13amp sockets, cooker socket with 13amp socket, pendant ceiling light. Double aspect with views to garden. Partially-glazed wooden door to rear garden. Fitted carpet, wall radiator, two 13amp sockets and pendant ceiling light. Window with views to front. Fitted carpet, wall radiator, two 13amp sockets and pendant ceiling light. Window with views to rear garden. Rear garden mainly laid to grass with drying area. Small front garden with mature shrubs. Clothes drying area.